There are few heroes in comic book history who have a history and lineage as confused and conflicted as Hawkman. First appearing in Flash Comics #1 (January 1940), the first Hawkman was Carter Hall – an archaeologist who discovered that he was the reincarnation of an Egyptian prince. Using ancient artifacts made of an “nth” metal that defied gravity as well as the ancient weapons in his museum’s collection, Hall became a savage champion of justice and a founding member of The Justice Society of America. Many classic superheroes were reinvented with a scientific edge, as The Silver Age of Comics started in the late 1950s. 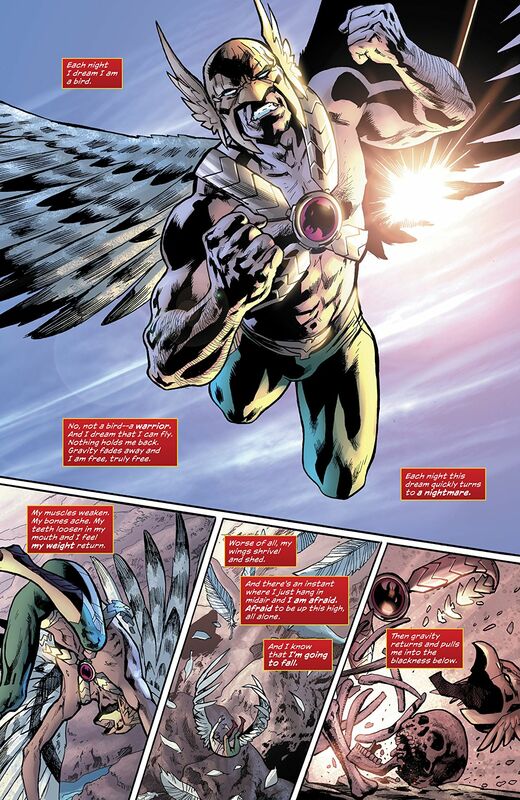 Hawkman was no exception, with Carter Hall becoming Katar Hol – an alien policeman from the planet Thanagar, who settled on Earth to study their peace-keeping techniques and lend a hand to a newly-founded Justice League. Thus for a time there were two Hawkmen – one on Earth One and one on Earth Two. The trouble came following Crisis on Infinite Earths in 1986, when both Earths were merged into one Earth with one timeline. 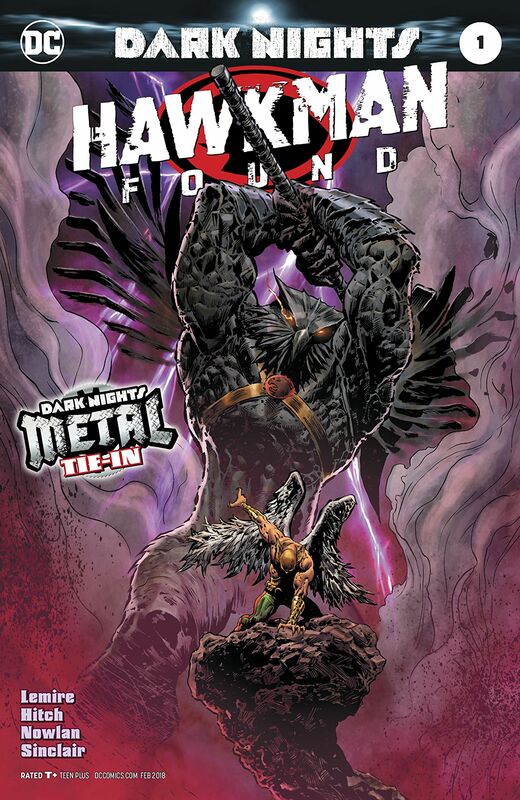 While things started out simple with Carter Hall and his comrades fighting crime in the 1940s and the alien Hawkman arriving on Earth in the 1980s, it became complicated by the decision to make Hawkworld – an Elseworlds mini-series depicting Thanagar as a fascist society – the official background of the modern Hawkman. This, coupled with a series of contradictory stories that confused the two versions of Hawkman, resulted in DC Comics merging all their Hawk-themed characters into a single Hawkman character who was supposed to be an “avatar of the hawk god”! Order of a sort was restored in the late 1990s, when it was decided that Katar Hol was one of Carter Hall’s many reincarnations as an eternal champion compelled to fight injustice, using the hawk as his symbol. It was also determined that the source of the Nth Metal artifacts used by Carter Hall was a Thanagarian ship, which landed in ancient Egypt. This seems to once again be the status quo of the character in the DC Rebirth reality, after a brief false start in The New 52 where the character was reintroduced as the alien Katar Hol and summarily killed off. The Dark Nights: Metal mini-series has reintroduced Carter Hall as an archaeologist driven by strange visions of the past and a sensation of being connected to something greater. This is the figure at the hrart of the story in Hawkman Found #1. Longtime comic readers hoping for a definitive answer to The Hawkman Question will be sadly disappointed. 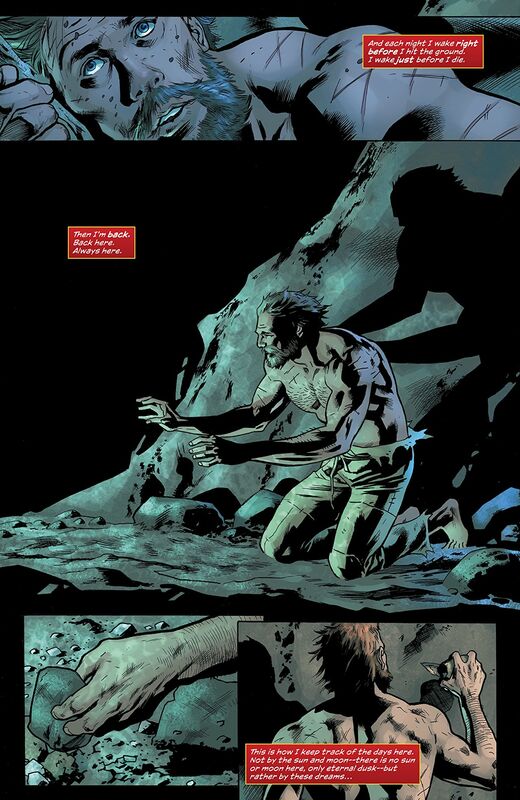 Jeff Lemire’s script is more concerned with introducing the base idea of Hawkman to new readers than it is unraveling the tangled web of history around him. Indeed, Carter Hall seems just as confused as to his origins as everyone else and the story does a masterful job of walking us through the important facts behind his character. This does, unfortunately, mean that almost nothing happens regarding the basic plot of Dark Knights Metal, so those who come to this special hoping for insight into the ending of Dark Knights Metal #4 will be disappointed as well. Does this mean that Hawkman Found #1 can be skipped? It can, but it should not be. If nothing else, the series has fantastic artwork that is well worth appreciating even if the story doesn’t do much. The artwork by Bryan Hitch, Kevin Nowland, Alex Sinclair and Jeremiah Skipper looks fantastic throughout, full of vivid details, wonderful shading and striking imagery with enrapturing colors. 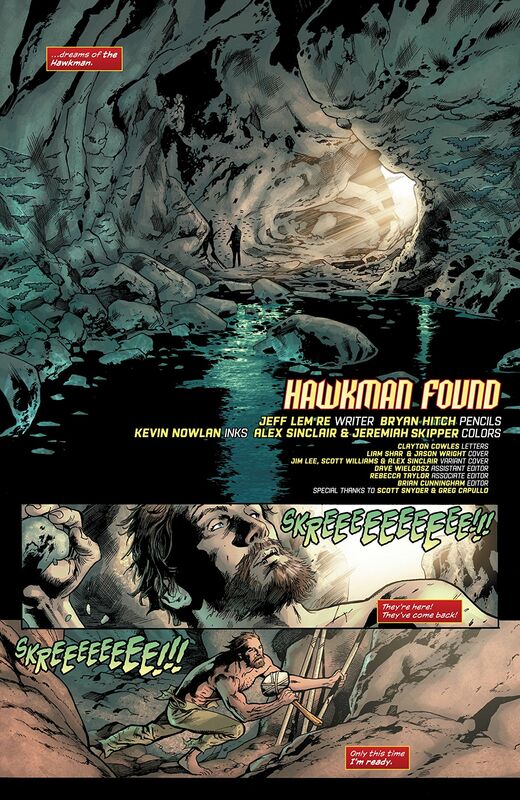 Taken for what it is – an exploration of Carter Hall as a person and Hawkman as a concept – Hawkman Found #1 is brilliant. 7/10.